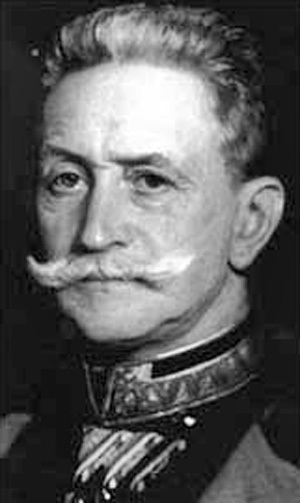 Count Franz Conrad von Hötzendorf (1852-1925) was a prominent Austro-Hungarian military figure in the early twentieth century. He was a close friend of Archduke Franz Ferdinand and in 1906 was made Chief of Staff of the Austro-Hungarian armed forces. Remembered for his aggressive policies, he was a prime representative of the notorious generation of warmongers who brought about the First World War. In 1911 he called for the invasion of Italy and in 1914 he was one of the main proponents of war on Serbia in response to the assassination in Sarajevo of Franz Ferdinand. After disastrous military campaigns, Field Marshal Conrad was sacked from the General Staff in March 1917. His voluminous German-language memoirs “Aus meiner Dienstzeit, 1906-1918” (From My Time of Service, 1906-1918) contain some clear insight into what motivated Austro-Hungarian policies towards Albania during the chaotic events that took place there in 1914, just before the fall of Prince Wied. Austria-Hungarian endeavours to set up a viable independent Albanian State, as a counterweight to a rapidly growing Serbia, were impeded at the London Conference. The Entente Powers favoured Greece and their future ally Serbia and gave to these countries important areas settled by Albanians, thus undermining Albania’s viability. In addition, it was planned that a Danube-Adriatic railway, that benefited Serbia, would run through Albania. For the rump State that remained, they agreed to appoint Prince Wilhelm von Wied as monarch of Albania. A delegation headed by Essad Pasha offered the crown to him in Neuwied, and he accepted it. The initial expenditures for the creation of the new State were to be covered by a loan of 75 million francs provided by the Great Powers. The new creation was, however, soon faced with many difficulties. Among them were the rivalry between Austria-Hungary and Italy, that had its eyes on Vlora; the reluctance of the Muslims to accept a Christian monarch when they would have preferred a Muslim or even the rule of the sultan; the aspirations of Greece, that had already occupied the areas of Gjirokastra, Kolonja and Përmet promised to Albania, to take over Albanian territory; and lastly the scheming of Albanian political leaders, in particular the devious role played by Essad Pasha. While the Entente Powers and Italy showed themselves to be hostile to the interests of Austria-Hungary, Germany did not want to get involved, either due to a wish to preserve peace or out of deference to Greek claims. On 8 January, reports from Albania painted a chaotic picture of events that were taking place there. The population was particularly perturbed by the order in Shkodra, under foreign, international occupation, banning use of the national flag. I noted at the time: “Prince Wied will certainly not be lying on a bed of roses,” and discussed the possibility of creating an Albanian army, in which we were just as interested as Albania. The military situation in Europe is such that we must reckon in the coming years with a new Balkan war or a major European conflagration. If this should come about, Albania would of course be involved, too. This country was, however, declared neutral at the London Conference, as guaranteed by the Great Powers. But only military might is of importance in times of war, and it is evident that, should the Triple Alliance be defeated in a European conflict, Albania would, as a natural result, be divided up among its neighbours. It is therefore vital for Albania to acquire military forces. The above-mentioned facts, compounded by a general arms build-up, show that the creation of an army in Albania is one of the most urgent and important problems to be solved by the new monarch. The creation of such an army would be decisive for the foundation of an independent Albania because it would serve as an important factor for Austria-Hungary, enabling it to pin down Serbian and Montenegrin forces. With several years of intensive military training, Albania could have at its disposal about 80,000 men in arms. It is too early to draft a detailed organizational plan for the Albanian army, but I would nonetheless like to inform Your excellency on my views as to how an Albanian army could be created. If it is not to remain a quantité négligable, the Albanian army must be organized in such a way as to strive to be equal in quality to the forces of Serbia and Greece. I would therefore regard it as a mistake to set up a simple militia system for Albania, as in Montenegro, or to organize the army along the lines of the coming gendarmerie. Optimal in my view would be a standing army with about two year of military service. This would serve as the best means to give clear expression to the unity of the kingdom at all levels of society and would raise national conscience and loyalty. In light of the currently extremely primitive conditions in the country, the army would also have major educational duties to assume, and this could only be accomplished if all young men were made to serve for one or two years. Basic military training would be followed by elementary and agricultural education. The troops would take part in construction activities in the field of communications, etc. This army would be severely handicapped by the lack of funds in the country. It would therefore seem essential to me that Albania be subsidized with copious funds for military purposes. On 17 January , an engineer arriving from Shkodra informed me that there had been Muslim demonstrations against Prince Wied. He also noted that the Italians had outdone us in the country’s favour due to the pathetic activities of their consulate in Albania. On 12 February, it was announced that Prince Wied was to visit Vienna. On 11 February, Colonel Mietzl (military attaché in Rome), who was responsible for the prince’s visit to Vienna, reported to me. I informed him that I wished to second an Austro-Hungarian military mission with training officers for the army to Albania, and to place Captain von Clanner, who spoke perfect Italian and some Albanian and knew the country well, in the entourage of the prince, and that I had chosen Lieutenant-Colonel Von Lerch of the General Staff, whom I knew to be industrious, as military attaché in Albania. Mietzl agreed to assist me in these endeavours. On 13 February I was invited to attend a luncheon for Prince Wied that was hosted by Count Berchtold. After the meal, I had a talk with the prince. I explained to him that no one had as great and altruistic an interest in Albania as we did and told him he could always come to us for support. I stressed the necessity of armed forces, saying: “Take Austro-Hungarian instructors with you.” With regard to possible jealousy that might arise among the other Great Powers, in particular Italy, I added: "Spread your instructors among the various branches of service, but give us the infantry and the cavalry." I also noted that, of the Dutch officers designated for the gendarmerie, Thomson was not particularly supportive of Austro-Hungarian interests. I recommended that the prince take on Captain von Clanner and Lieutenant Colonel von Lerch, both being good men he could rely upon. I: “What would be nice.” I added that we also had great interest in a free and independent Albania, that the prince could rely on us for support, and that he could come to me at any time and I would endeavour to fulfil his wishes. The handsome, manly appearance of the prince was a recommendation in itself. He conveyed the impression of a refined gentleman, trained like a Prussian officer. I had my doubts, however, as to whether he was indeed the rigorous “man of action” we needed in the Balkans. How Russia thinks about Albania can be seen in the following passage in the often quoted report of the Serbian Prime Minister Pašić of 2 February 1914 on his audience with the Tsar. “He (the Tsar) was surprised at how Prince Wied could have himself elected monarch of Albania because, in his view, Albania was not a viable state and ought to be divided up between Serbia and Greece. Albania would perhaps become an apple of discord between Austria and Italy. I (Pašić) expressed the view that Italy and Austria were already in competition for it and had only concluded an alliance out of fear of a military conflict, and that even today they had probably only decided on joint occupation of Vlora out of fear of war. Izzet Pasha (the Turkish minister of war) also came to prominence as a candidate for the Albanian throne. The Young Turk Committee seems to have calmed down for the moment about the events in Vlora, and has suspended further agitation for Izzet Pasha. The conviction of Bekir caused not particular outrage. The press simply reported on the news. Enver Pasha spoke in a very disparaging manner about Izzet and criticized his lack of energy and resolve. If you want to win a throne, you mustn’t sit around in Constantinople, thought Enver. Izzet is in Constantinople for the moment and only intends to travel abroad when Prince von Wied has arrived in Albania. The attaché notes that the Austro-Hungarian vessel, the Taurus, presently anchored in Constantinople, has been chosen for the Prince von Wied’s journey from Trieste to Durrës, meaning that the prince will land in Albania under the Austro-Hungarian flag. The aforementioned telegrams from Cetinje arrived on 16 February, concerning a Montenegrin putsch against Albania, but it did not occur. One telegram announced on 17 February that the Albanian tribes of Hoti and Gruda, given to Montenegro, had sworn allegiance to their new homeland. 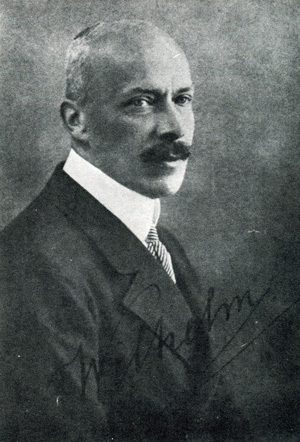 On 28 February, I received a letter from the Austro-Hungarian military attaché in Rome, dated 25 February, that informed me of the first signs of intrigue on the part of Essad Pasha. He was endeavouring initially to get the prince under his control and thus become the most powerful figure of Albania, but after this, he wanted to get the throne for himself. Italy wanted to ensure its sphere of influence in Albania through Essad. “It was evident during Essad Pasha’s visit to Rome how the Italians were striving to curry Essad’s favour. They were trying to win Essad over by taking advantage of his weak spot, his personal vanity, and they have most probably succeeded. How great the danger must have been that Essad would end up under total Italian control can be seen in the fact that Sureja Bey, the father of Ekrem Bey, hastened from Naples to Rome to supervise and restrain him. I have also heard that Prince von Wied will not be residing in Durrës, and that it has already been agreed that he will hold court in Tirana in the manor of Essad Pasha, thus being under Essad’s total control. The crafty Sureja Bey, the only true friend Austria has there, took possession of half of the manor in Tirana during a financial payment to Essad, in order to ensure control over Prince Wied. Those who know Prince Wied well tell me that he is often indecisive. If he maintains this trait as king towards his future war minister, Essad, it would mean the end of his reign." At this juncture, I must add that Prince Wied did indeed remain in Durrës, despite the lack of appropriate accommodation. In Tirana, he would have been Essad’s prisoner. I had a longer discussion with an Albanian leader about which I would like to inform Your Excellency. It amazes one to no end that the Austro-Hungarian monarchy, which has done so much with great sacrifice for Albania, is still behind all the other countries, with regard to influence. Given the well-known timidity of the newly appointed prince, there is real danger that he will fall into the hands of Essad Pasha. One must exert pressure upon the prince to ensure that he remains above the parties involved and takes account of those elements that do not belong to the party of Essad Pasha and are related to that portion of the population, the Catholics, who are the most avid supporters of the Austro-Hungarian monarchy. People have cautioned us about Romanian influence over the prince and regard it as an unreliable factor in Albania. They hold the view that the prince will give way to the pressure which is most constant and intense, and are worried that if this pressure does not come from Austria-Hungary, it will come from another party. In addition to this, Italy's initiative is regarded with indifference, commercially, financially and otherwise. Although it is not popular with the Albanians, Italy has extended its influence, which has given rise to all sorts of contacts. I was also cautioned to take care that the most reliable friends of Austria-Hungary in Albania, the Catholics, not be alienated. Antagonism towards Serbia and Montenegro is said to be a constant factor which cannot be altered by temporary agreements with these two nations. For this reason it would seem expedient to instruct our official representative in Albania to exert continuing influence upon the prince in all his endeavours. Prince Wied and his wife (née Princess Schönberg) left for Albania and landed in Durrës on 5 March 1914. He was welcomed on the country’s behalf by Essad. The atmosphere in the country was, however, not universally in the prince’s favour. Many of the Muslims were against him, and this soon led to an uprising. “The appointment of Turkhan Pasha as prime minister of Albania was not received very well in Constantinople. Turkhan was apprehensive that the Porte might impede him and so he snuck out of Constantinople secretly. This of course left a very bad impression. Turkhan is a southern Albanian who studied at the Greek secondary school in Janina and later in Athens. He was Governor General of Crete and knows Venizelos from there. For ten years, he was the Turkish ambassador in St Petersburg. Very reliable sources have informed me that Turkhan has long been in Russian pay. This was a well-known fact in Constantinople and he was supposed to be recalled and sent into retirement. Realising what was about to happen, he preferred to enter Albanian service. This short sketch of the situation in Albania made it obvious that the Austro-Hungarian envoy for Albania, Liman von Löwenthal, was going to have a difficult time of it. A further complication arose. As previously mentioned, the Greeks were still holding onto the areas of Gjirokastra, Kolonja and Përmet in northern Epirus, regions that had been promised to Albania. When the Greeks evacuated these areas in March 1914, northern Epirus, under Zographos, declared itself to be an independent republic. It was obvious that Greece intended in this way to take over the region. Albania’s viability as a State would have received another heavy blow. I advised that machine guns and instructors, and then Mannlicher rifles be sent to the Albanians so that they could quell the uprising from the start. It is evident from the above remarks just how useful Albania could have been to Austria-Hungary. This would have been in the form of an independent country with close economic, cultural and political ties to the Dual Monarchy and allied to it, in particular against Serbia and Montenegro. Instead of this, Albania was the theatre of conflict between various powers and parties. Rivalry with Italy was the most pronounced. The seeds of conflict derived from the agreements Austria-Hungary had made years earlier with Italy over Albania. This would not have been the case if we have been early to recognise Italy as a rival, if we had broken relations and settled accounts with it. Lulled in the stupor of Triple Alliance policies, we lost our position in Albania because of Italy. A strong and energetic ruler staying the course and conducting his policies in Austro-Hungarian favour might have been able to save Albania for Austro-Hungarian interests. In reality, however, various influences continued to hold sway in Albania. The English, Dutch and Italians had their fingers in the pie, and Turkish and Romanian involvement was not lacking either. In addition to this, there was the aggressive stance of Serbia, agitation from Montenegro and endeavours by Greece to expand their spheres of influence to the detriment of Albania. On the surface, Greece seemed to co-operate with the withdrawal of its troops, but the revolt that broke out under Zographos in Epirus, which had declared itself to be an independent republic, played into Greece’s hands. Albania was not able to protect itself here. What was missing were regular troops and organised leadership. They had rifles and handguns, but no artillery. Three mountain batteries has been ordered from Skoda in Austria-Hungary and these were delivered and accompanied by two Austro-Hungarian artillery officers (Captain Baron Klingspor and Lieutenant Tomjenović) and an artillery mechanic. What was lacking, however, was a strong leader with a knowledge of the country, one who could steer the course with the population. Matters were complicated even more by the seeming treachery of the war minister, Essad Pasha, and the related revolt of the Muslim Albanians. Essad was arrested, but the country remained polarized and in a state of unrest. The European Control Commission was to mediate, but by using its authority to do so, it damaged the reputation of the prince and was viewed in the country with some suspicion. A major military build-up to protect Albania in this muddled atmosphere was impossible in view of the perils facing Austria-Hungary and Germany from all sides. It was important to maintain contact with Albania, to preserve our political and economic ties, and to a certain extent, military influence through the use of Austro-Hungarian military instructors in the new Albanian army under construction and by training Albanians in Austria-Hungary. In this connection, we had to put up with rivalry from Italy with whom we were bound by treaty. The training and management of the gendarmerie fell into the hands of Dutch officers. In December 1913, I sent two long and excellent reports on Albania to Count Berchtold, drafted respectively by Captain Rosman and Captain Milan Ulmansky of the General Staff. I had seconded both officers to Albania. Their reports contained detailed information about this otherwise little known country and accurate suggestions for steps to be undertaken in our political, economic and military relations. Count Berchtold returned the reports to me on 16 April. On 22 April, I had a discussion with the minister (to which I have referred earlier). We talked about sending a military mission to Albania, initially ten Austro-Hungarian and ten Italian officers. I requested that Colonel Lerch be appointed military attaché in Albania. He was ready to go as soon as the Italian attaché was available. We spoke about Essad Pasha who, in our view, was completely under Italian influence and financed with Italian money. I suggested we might do the same thing. Concerning the possibility of war between Greece and Albania, I noted that Serbia and Montenegro would most certainly get involved and we would then have an opportunity to act against these two disturbing influences. Count Berchtold showed me a telegram to be sent to Shkodra that contained instructions to avoid demarcating the work of the Italian military instructors and ours. The companies with even numbers were to be ours, those with odd numbers were to go to the Italians. I countered by suggesting that Austria-Hungary ought to be made responsible for training all the infantry, and Italy for training the other branches. I was determined that Austro-Hungarian regulations should keep the infantry. The telegram was accordingly altered. Consul General Rappaport noted that if this were not done, the various branches of the military would be mixed together for reasons of parity. The conversation then turned matters discussed earlier. The Greek uprising in Epirus created a new situation. The only forces available to quell the uprising were badly trained Albanian policemen and Dutch gendarmerie officers. A proposal was made to send Austro-Hungarian and Italian officers to train the police. During my conversation with the Marquis di San Giuliano in Opatija [Abbazia], I referred to Mufid Bey's suggestions, mentioned in Your Excellency's telegram of 11 April of this year, that Austro-Hungarian and Italian officers be sent to train the militia force that is being set up to counter the Epirotes. I added that I would be willing to pursue this train of thought further, although I was aware of the controversy involved in using officers from our two armies in two functions and that we would have to create safeguards to ensure that no rivalry or friction arose: parity in numbers, same charges, similar duties according to troop category and not distributed according to territory, etc. These are thing that I can only formulate definitively when I receive the report from our General Staff. The Marquis di San Giuliano is confident that such co-operation between the officers of the two armies could be implemented without problems. He pointed to the example of Shkodra where Austro-Hungarian and Italian officers are serving together with excellent relations, and suggested that officers from different countries usually get along better with one another than civilians do. His only worry was that the secondment of officers from our two armies to the Epirote occupation forces would provoke the powers of the Triple Entente and cause them to take action against this measure. This, in turn, would make the efforts of Mr Venizelos to assuage public opinion even more difficult than they are at present. The minister shared my view that the General Staff should first be consulted in this matter and added his wish that the representatives of our two parties in Athens and Durrës be contacted for their opinions on the possible repercussions of the measure. I concluded by saying that we could perhaps limit repercussions on Greece by restricting the officers to training the militia, and not let them take part in military operations. The minister agreed with this. Such was my meeting with the Marquis di San Giuliano. 1. 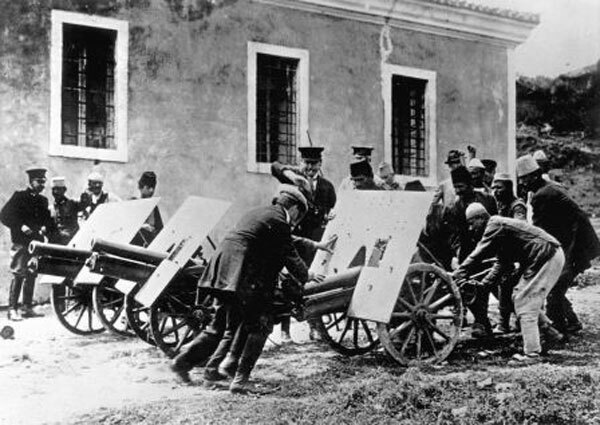 Italian officers would train the cavalry and technical support troops, for which Italy was eminently qualified, and the artillery. The head of the General Staff does not agree with the argument that the Italians should not have the artillery because we are supplying the cannons. 2. Full parity with Italy could be achieved through the number of instructors the two sides send, since Baron Conrad agrees that Italy is to furnish the same amount of officers (about thirty) for the artillery, cavalry and technical support troops. The opinion expressed in this telegram on the friendly relations between the Austro-Hungarian and Italian officers was completely justified, both for the army and especially for the navy. Relations between the upper-echelon functionaries remained quite proper in outward appearance. Underneath, however, a diplomatic conflict was simmering, and the Italian press was attacking Austria-Hungary quite openly. On 2 May, I was visited by Consul General von Rappaport of the Foreign Ministry. He spoke of the difficulties involved in the distribution of training officers for Albania and informed me that an obscure scheme was being worked out to bring Romanian officers to Albania (King Carol was related to Prince Wied. Queen Elizabeth was born a princess of Wied). The prince, Essad and Italy were all in favour of this. The Austro-Hungarian envoy was of the view that there was no reason to oppose it. Von Rappaport: “The system for distributing the officers according to troop category is not going to work if there are not enough Italians to cover the artillery." I: “From a political perspective, we have no objection to Dutch officers, but militarily, we must not allow them to take our place." On 16 May, I was visited once again by Consul General Von Rappaport. He told me that the Italians had sent a major to Albania who had become an Albanian citizen and had entered the service of the prince. Von Rappaport: “The Foreign Ministry is of the view that we must not be the only one to provide officers to train the Albanian infantry. Part of the infantry must be given to the Italians." On 25 May I discussed Albanian affairs with the War Minister. He wanted guidelines, initially, on the secondment of mixed contingents that, during the revolt that has broken out in Albania, would be carried out by several Powers. I then said that we should let fate decide and allow Albania to go its own way, but added that we should, however, take a position if any State were to intervene in a manner not conducive to our interests. We should not commit ourselves to joint occupation with Italy and thus having our hands tied. If we don’t like it, we should always be able to withdraw. War Minister: “The Emperor is upset by the fact that Captain Klingspor has been using fire power, too." I: “He (Klingspor) is down there. He took the artillery pieces for a prince whom Austria-Hungary installed. He believed that the prince was in jeopardy, and had not received any further instructions. As an Austro-Hungarian officer, was he simply to withdraw and run for it? It was quite normal that he fired. The prince must be protected." The conversation then turned to Serbia. Although I was not happy at the idea of sending a larger contingent of troops to Albania, I realised that there might be diplomatic pressure that would make this necessary. On 26 May, I therefore had a talk with the head of the operations office, Colonel Metzger, during which we spoke of this possibility and what measures ought to be taken. I noted that we would probably be forced to provide a contingent of about 4,000 men. I was against anything that would damage the peace-keeping operation and wanted to avoid this at all costs. As we considered our options in Albanian affairs, event were taking place in the country itself that had no important link to the World War, but were of significance for the consolidation of that country and provided insight into the continuing chaos there. They must therefore be mentioned here in some detail. Our information was based almost entirely on the reports of Austro-Hungarian Captain Heinrich von Clanner who was on the spot in Durrës, the seat of government and headquarters of the prince. The key element in those events was the treachery of the War Minister Essad Pasha, the dubious role played by Italy, the influence seemingly exercised by the Turks and, as a result of all of this, the revolt against the prince. At the same time, there was also a revolt going on in Epirus. Report of 26 April. Clanner asked Essad Pasha if anything was being done to put down the revolt in Epirus. Essad said no because there was no heavy artillery, while the Greeks had two cannons and a lot of machine-guns. The delivery of artillery from Austria-Hungary had been delayed. Essad proposed to the prince that he not set up a militia, but only reinforce the gendarmerie in Epirus. About seven Italian officers had gone to Tirana. It was not clear what they were up to. On 26 April, their commander, the Duke of Abruzzi, held a dinner party on board, to which the prince, the princess, the two ladies in waiting, the adjutant of the prince Ekrem Bey Libohova, his secretary Sami Bey Vlora, and Turkhan Pasha were invited. Essad Pasha had visited the Italian squadron together with the dragoman of the Italian legation. The Duke of Abruzzi inspected the Italian school in Durrës, riding in Essad’s motor vehicle. Report of 28 April. The watch in Durrës consisted of 98 guards, 7 of whom were accompanying Essad. The Dutch major heading the town command requested their return for training purposes, Essad told him to contact the Dutch General De Veer in Vlora. The town commander then ordered the return of the men. The watch resisted under pressure from Essad. The town commander therefore suspended the men from service in the gendarmerie, but he was unable to disarm them because their weapons were their own property. Essad had 25 of his own armed men in the tower of his house. Report of 3 May. From Korça came requests for reinforcements against the Epirotes. There were demonstrations for war with Greece. The government took no steps at all. Report of 6 May. The situation in Epirus is getting worse. There are enemy attacks on Korça and Tepelena. According to a telegram from Tepelena, the Albanian gendarmerie occupied Kodra and Hormova on 4 May. In the Greek church in Kodra, they came across the bodies of 200 Muslim Albanians who had been crucified and slaughtered by Greek rebels. As a result, the Muslims were outraged. The Beys of Tirana and Vlora have mustered volunteers, without an order from the government, about 2,000 to 3,000 men to march under Abdi Bey against Epirus. Ekrem Bey has also gone to Vlora to take part with his men. In the evening, we received telegrams from the Dutch Major Snellen containing news about the ongoing fighting. The prince has remained in Durrës. He has occasionally visited the surrounding region on horseback and is accompanied by the gendarmerie on an almost daily basis. On 5 May, the English Colonel Phillips, head of the foreign missions, arrived from Shkodra to visit the prince. He was accompanied by his Italian adjutant and the Austro-Hungarian Captain Cvitković. The latter informed Captain von Clanner about conditions in Shkodra, where Italian influence reigns. The Italian consul Galli has also won over Colonel Phillips. Galli, who was recently in Trieste, is working against Austria-Hungary and discrediting Austrian goods. The Italians are endeavouring to diminish our influence in the country with the help of the clergy. 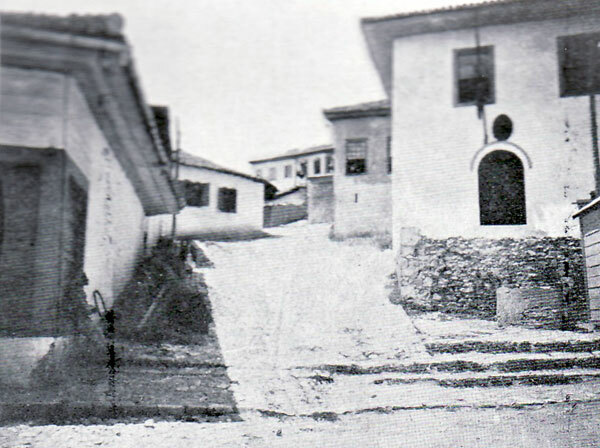 Although in Italy itself the troops are not compelled to attend church, Italian soldiers are forced to do so in Shkodra. Phillips has close relations with the Italian minister Aliotti, who is against Austria-Hungary, hopes to be appointed governor of northern Albania and to receive orders to set up an Albanian army. Phillips has replaced the commander of Lezha, the Austro-Hungarian Captain Worko, with the English Captain Francis. The latter is favourable to the Italians. Under Worko’s command there was peace and order, and now the Albanians are fighting among themselves. Montenegro has taken possession of the territory it was promised, that belongs to the Albanian tribes of Hoti and Gruda. Some of the families of these tribes have fled, most of them, however, are satisfied with the situation. They were paid off by the Montenegrins with French money. Report of 13 May. The Italian officers are endeavouring to foster relations with the Albanian ministers, for instance, Captain Lorenzo Fineschi with Turkhan Pasha. Clanner’s proposals for the joint management of food supplies for the population and for buying cheaper cattle from Bosnia have been resisted by the Italians. Essad made a brief appearance in Tirana. There, the people told him that they would only march on the south (Epirus) if they received a direct order from the prince. 200 to 300 former Turkish Redifs (reservists) were then called up in Durrës. The prince has been advised by King Carol not to use foreigners to set up the army (this was no act of friendship towards Austria-Hungary and showed how little King Carol knew about the situation in Albania). The artillery supplied by the Austria Skoda company arrived on 13 May, accompanied by Captain Baron Klingspor, Lieutenant Tomjenović and a mechanic. Captain Baron Klingspor went to see Mr von Trotha, the steward of the prince’s court, to pay his respects. Though one might have expected a certain hospitality from a German, Mr von Trotha did not receive him. Klingspor replied: “Please inform Trotha that our visit was of a purely formal nature since, as Austro-Hungarian officers, we have been ordered to serve here, but we are not accustomed to be kept waiting in the antechamber.” The reaction had the desired effect. Everyone was impressed by the artillery. Report of 15 May. The prince received the Austro-Hungarian officers, went out in the afternoon to inspect the artillery and gave two Turkish artillery officers to the command of Captain Baron Klingspor. Essad gave Baron Klingspor the duty of setting up the three batteries and wanted more Austro-Hungarian artillery officers. Report of 19 May. For the last few days, since the return to Essad from Tirana, there have been rumours from there and from Bazar Shijak about a revolt that has broken out. Captain von Clanner rode out to Shijak on 17 May, but found that everything was quiet. In the meanwhile, there was panic in Durrës on 18 May about a possible attack. One of the new batteries was set up at the northern end of town and the bridge two kilometres east of Durrës was fortified with machine guns and gendarmes, directing their weapons towards Tirana. A telegraph line was laid in the palace to connect the prince and Essad. Weapons were distributed among the employees. The armoured frigate H.M. Szigetvar, lying in the bay, was made ready for action and for the disembarkation of troops. The fleet of Italian torpedo boots that had departed was called back. Essad’s house was surrounded by the gendarmes. The measures ordered were unclear. It is said that Essad is about to resign. At 4 p.m., Captain Baron Klingspor was called to the palace and asked if the artillery was ready to fire. He replied in the affirmative. When Klingspor inquired as to whether he was to carry out Essad’s orders, he received the reply: “No.” He was told to obey the orders of the Dutch Major Sluys, and any orders to open fire would be given by the prince personally. At 1 a.m. all access to Essad’s house was blocked and at 2 a.m. two cannons were aimed at Essad’s house. Essad was summoned by the prince, but did not respond. At 3:30 a.m. the Dutch Major Sluys, Ajet Libohova and several armed men went to Essad’s house and ordered that he give up his weapons and surrender. Essad’s men initially dropped their weapons, but at a sign from Essad, they seized them again and began shooting. An exchange of fire took place, during which the two cannons were used. On orders from the prince’s palace, Captain Baron Klingspor lobbed four shells at the tower of Essad’s house and then fired at the house itself, because the thick walls of the tower resisted. Firing ceased when a white flag was raised from inside the house. The half of the artillery unit had fired a total of ten shells. There were two dead and two injured. Essad was arrested by Captain Armstrong, the Austro-Hungarian dragoman, the Italian dragoman, ten Austro-Hungarian and ten Italian sailors, and was taken with his wife to the frigate H.M. Szigetvar. Sixteen of Essad’s men were arrested. To protect the palace, 50 men from the Austro-Hungarian frigate went on shore, as did 250-300 men from the fleet of Italian torpedo boats. Essad was hated in Durrës. Crowds gathered in front of the palace and cheered the king, the queen and the young princes. The surroundings of Durrës were now occupied with the help of volunteers, gendarmes and machine guns. Report of 20 May. At noon on 20 May, two machine guns and a hundred volunteers were sent out in the direction of Bazar Shijak. The detachment was under the command of a Dutch major, advanced to Rashtbul and send emissaries to Bazar Shijak to order the people gathered there to disperse and to present their wishes to the prince in a deputation. The detachment then returned to Durrës. At 6 p.m., 4,000 to 6,000 men arrived, led by their hodjas, and presented their greetings to the prince. The Dutch officers sensed danger, although Clanner believed this to be unfounded. The steward of the prince’s court, Mr von Trotha, rejected the proposed ovations as too dangerous. Once the men received orders to lay down their weapons, and willingly did so, they were taken to the Greek church and put under guard there. Dangers had been envisaged but they turned out to be unfounded. By this time, Essad had been put onto a ship of the Navigazione Italiana and taken to Brindisi, from where he was to continue on to Milan. The Albanians in Durrës were furious at Essad’s release. They said that the “rogue” was being supported by Italy; he should have been put on trial and not let go. Report of 23 May. Disagreements have arisen between the Austro-Hungarian officers and the Dutch officers that have got worse. At the suggestion that the artillery should be given to the Dutch, who were there simply for the gendarmerie and not to set up an army, Captain Baron Klingspor responded that he would only hand it over if he received an order to do so. When asked by the Dutch Major Sluys what Austria-Hungary was actually up to, Klingspor replied that it was not any business of theirs. The behaviour of the Dutch became such that it called for intervention on the part of our envoy. To clarify the situation, the Austro-Hungarian officers went on board the Szigetvar. Captain Baron Klingspor ordered the non-commissioned officers not to touch the artillery at all and to spend the night at the legation. Clanner corrected the press reports about the deeds of the Dutch officers during Essad’s arrest by noting that none of the gendarmerie officers were anywhere near Essad during the attack on his house. When the firing started, Major Sluys went off to the palace and then to the battery, that was manned by our officers. On 22 May, an expedition was made ready to set off for Tirana, taking an artillery piece with it. It was joined by the three hundred Malissors who had arrived to protect the prince. From 9:30 to 10:30 one could hear the vague ratter of rifles and machine guns from the direction of Rashtbul. From noon of 23 May onwards, our artillery, manned by the Albanians, fired at Rashtbul from time to time. Report of 24 May. The firing escalated at 3 p.m. on 23 May. There was panic in Durrës at the news that the units sent out to the front had withdrawn. The inhabitants fled and took to the ships. The prince, the princess and their retainers boarded the Italian yacht Misurata. The prince returned to the palace at 7:30 p.m., and the princess at 9 p.m. The impression made upon the population was not favourable. According to Professor Seiner, who was on the battlefield on 23 May, the unit sent out to Rashtbul had been surrounded and its artillery and two machine guns had been captured. The number of peasants taking part in the uprising is said to have been about 400. Report of 26 May. Further information on the fighting has shown that the detachment that left Durrës in the night of the 22-23 May contained 80 men with one artillery piece and two machine guns. About 100 Malissors joined it. The column advanced to the hills northeast of Bazar Shijak and was surrounded and taken prisoner there. The gendarmerie posts in Bazar Shijak were forced to give up their arms after offering brave resistance. The rebels stemmed from the kazas of Pekin, Kavaja, Tirana and Ishmi. They were armed with Italian army rifles and Mausers. All information points to Essad, who has been a confident of Italy, as the man who stirred up the rebellion. 3. the nationalist and the gendarmes may withdraw with their weapons. The rebels demanded that the representatives of the Great Powers decide on the matter as they, after all, had installed the prince (king). Almost all the members of the Control Commission arrived at around 5 p.m. on 24 May. Their spokesman was the Austro-Hungarian consul Kral, an energetic official well versed in Balkan affairs. Peace and calm were restored by his self-assured and determined manner and his ability to understand the mentality of those involved. “The changes that have taken place over the last few months in the population, which used to be quite loyal, stem from Turkish agitation, though Serbia may also have its hand in the matter. Report of 6 June. I quote this report word for word. “Some time around 24 May, our legation was informed by the naval signals patrol stationed on the roof of the building that the house inhabited by Lieutenant Colonel Muricchio, which was quite near to the house of Essad Pasha, was sending flashing signals at night in the direction of Rashtbul, which were being answered from there. Our legation seems, in confidence, to have informed the Dutch town commander (now Major Thomson, and in his absence, Major Roelfsema). The Dutch Captain Fabius observed the visual communications once again yesterday. At about 9 p.m. they proceeded to arrest Lieutenant Colonel Muricchio, Professor … and the local Italian post office director Cavaliere Allessi. Two women and one man escaped in the dark. Letters and other documents were confiscated. According to Captain Fabius, the Italian envoy Aliotti was initially very resolute in his opposition to the arrest, but then backed down and the prisoners were released upon a pledge from the envoy, on the condition that they keep themselves available to the Albanian court. These events and the pressure Aliotti put upon the prince to leave the country on 23 May have led patriotic Albanians to detest everything Italian. There is even talk of a boycott of Italian products. Most of the better classes of people here are openly pro-Austrian. Captain Klingspor was received at noon today in an audience with the prince. About eighty nationalists were waiting outside the palace and came up to meet Captain Klingspor as he landed. Paftali held a long patriotic speech in his presence that ended in cheering. Among the nationalists were Facil Pasha and Mehmed Bey Konitza. On 21 May, shortly after Essad’s arrest, Count Harrach and Turkhan Pasha came to see me. Turkhan spoke at length about Essad, saying that he did not understand him and was surprised by his actions. Turkhan, who spoke fluent French, conveyed the impression of an refined diplomat of the old school. It remains to be seen whether he will be able to put a young State on its feet. What aspirations Serbia had after Essad's putsch became clear in Report No. 178 of 15 June 1914 from the Austro-Hungarian military attaché in Constantinople. It was on the point of invading Albania. I have not described events in Albania in complete form, but simply made short notes here about the essential elements of the reports I received. The reader should have no difficulty drawing his own conclusions. He should then be able to comprehend the situation in which Albania found itself. Austria-Hungary was doing its utmost to create a sovereign Albania upon which it would be able to rely as an ally. The enemies of Austria-Hungary endeavoured to torpedo this goal, and they reached their objective. By its passive, yielding manner at the London Conference, Austro-Hungary failed in its objective of getting Albania out of the hands of the Great Powers and of creating an independent nation friendly to the Dual Monarchy. We trusted their loyalty.